Recently, I was selected to be a Sweat Pink Ambassador for Fit Approach and I couldn’t be happier. I have met so many fabulous, fit and strong women in this community and I love that we can all share our knowledge, motivate each other and support one another, as we conquer our workouts one squat at a time. 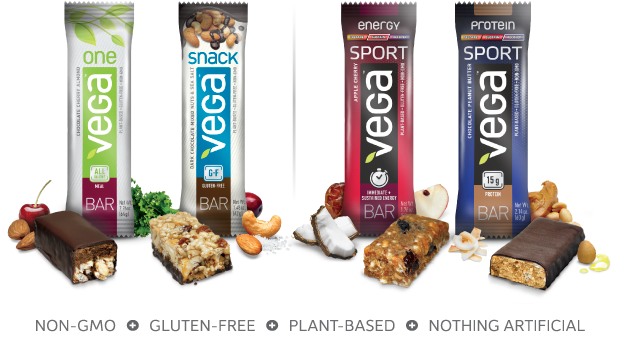 As an ambassador, I had the opportunity to participate in a campaign for Vega, which allowed me to sample some of their newest bars to hit the market…and man were they good! If you’re not familiar with Vega, they offer plant-based, gluten-free, non-GMO, nothing artificial nutrition options. To view their guiding principles CLICK HERE. As you can see from the photo above, Vega truly has your day covered …and sometimes it’s even covered in chocolate! 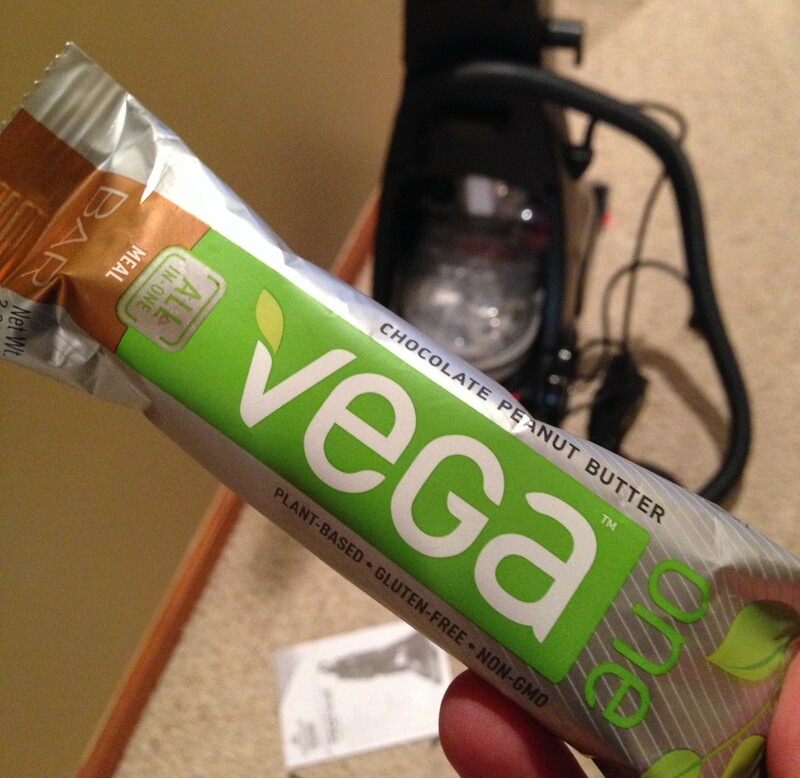 The first bar I tried was the Vega Sport Protein bar in the Chocolate Mint flavor. It featured 15 grams of protein, 2.5 grams of BCAA’s and 2 grams of glutamine, which made it a great post workout option. Since your body needs fuel within a certain time period after a tough workout, these would be a perfect addition to your gym bag…because sometimes you need to run errands before going home, right? Post workout nutrition is important…don’t skip it! Next up was the Vega Snack Bar! I love to snack and I know you do too. When I opened the box of treats Vega sent me, I couldn’t wait to tear into the Dark Chocolate Mixed Nuts and Sea Salt. I decided to show a little restraint and save it for when I was out running errands and feeling hangry. The snack bars are perfect for these scenarios! How many times have you been stuck in a long line at the grocery store and began drooling over the candy bars or chips they showcase up the registers? We work too hard to sabotage ourselves, so be prepared for when hunger strikes with a snack like this! Trust me. I always keep an emergency snack in my bag. Then there are the days that are just hectic and start with time not being on your side. Thankfully Vega even offers Vega One bars, which are total meal replacements! This morning I had to grab a Chocolate Peanut Butter bar and it was goooooood. The Vega One bars are packed with 12g complete plant-based protein, 4g fiber, 1g Omega 3, 1 serving of greens, 1 billion dairy-free probiotics, 25 added vitamins and minerals and antioxidants. That’s pretty awesome considering all you have to do is unwrap and eat! Emergency carpet cleaning? Vega One can power you through! 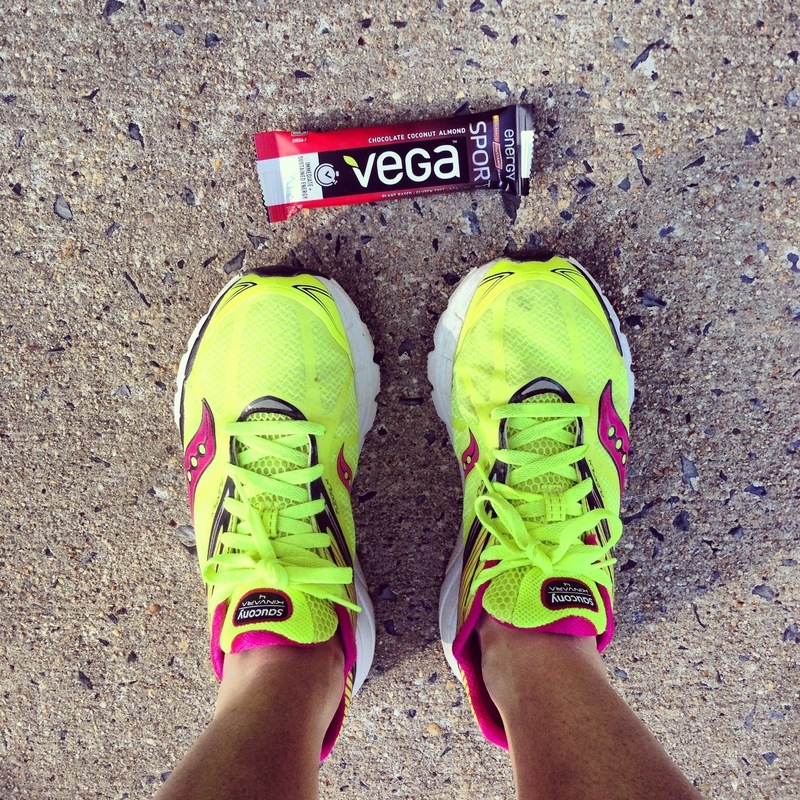 The final bar I tried was the Vega Sport Energy Bar in Apple Cherry. 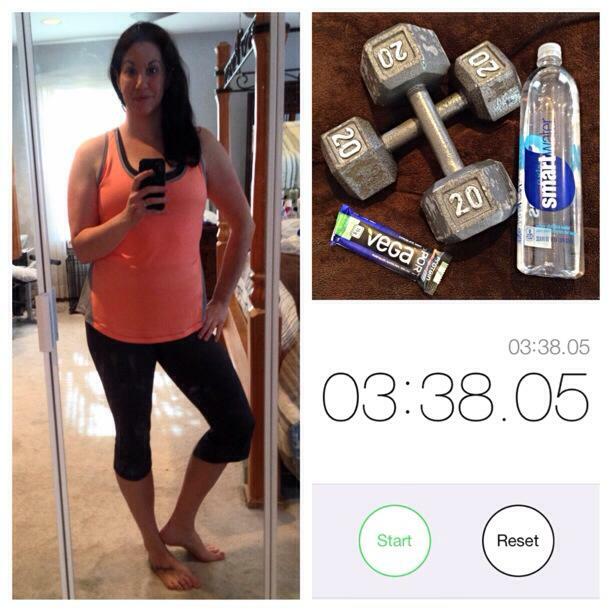 There are days were I cram a run or a workout in wherever I can, because I have other things I need to tend to first. These days become tricky because I can’t time my nutrition properly. Having an energy bar like this on hand, gives your muscles the fast-acting, long-lasting whole food energy they need to endure. The energy bars contain 27g carbs from whole food ingredients, high and low glycemic carborhydrates for immediate and sustained energy, as well as 1g Omega 3. Your body needs proper energy before you workout. Fuel it right. 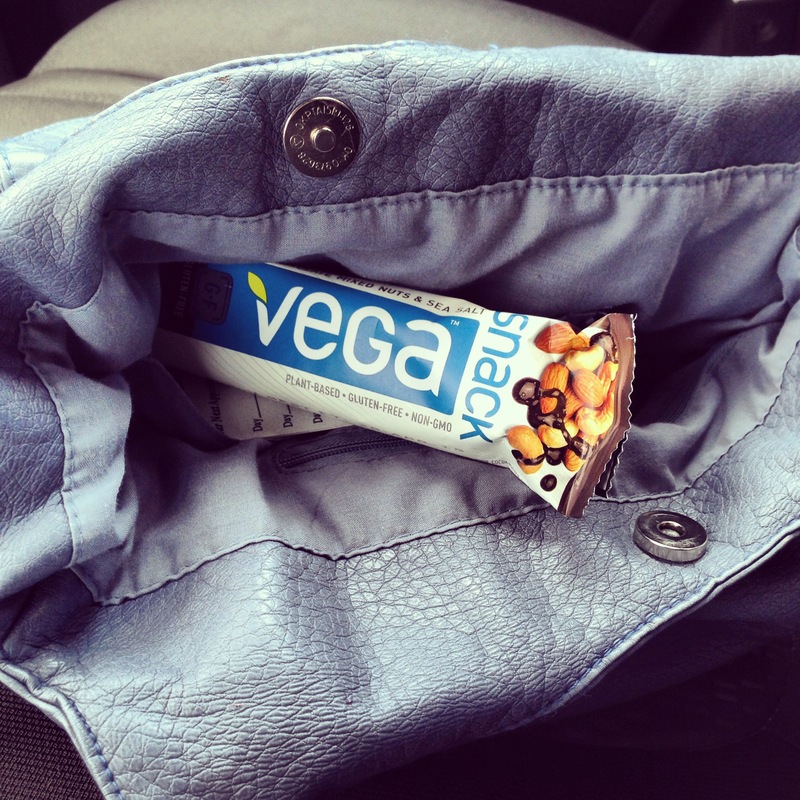 As you can see, Vega offers a wide variety of bars to fit your daily nutrition needs. I really enjoyed the taste of all of these. Some were better than others, but that also comes down to personal taste. (I love anything with chocolate). For more info on these items, be sure to visit the Vega Blog.